Display Stream Compression offers inter-operable, visually lossless real-time, video compression to satisfy the emerging high bandwidth and high resolution video technologies. 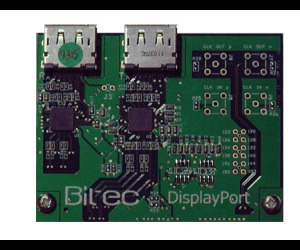 Bitec offer a highly optimized implementation of the DSC 1.2a as a stand-alone component and/or an integrated component to the Bitec DisplayPort 1.4 and HDMI 2.1 IP Cores. 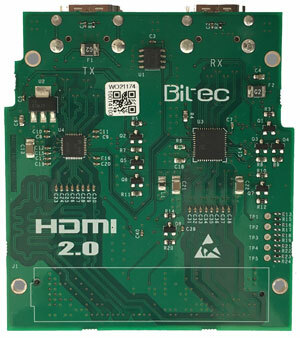 The Bitec HDCP IP Core is for use with the Bitec DP and HDMI IP cores. 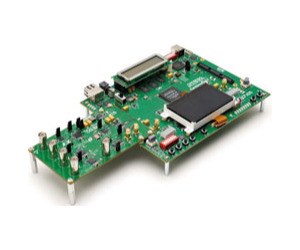 It is designed to ease the integration of content protection to FPGA and ASIC based designs with support for versions HDCP 1.3, 1.4 and 2.2. 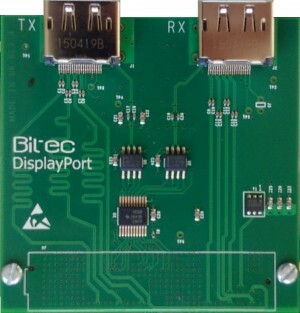 Direct connection to DisplayPort devices using the Bitec DisplayPort core. 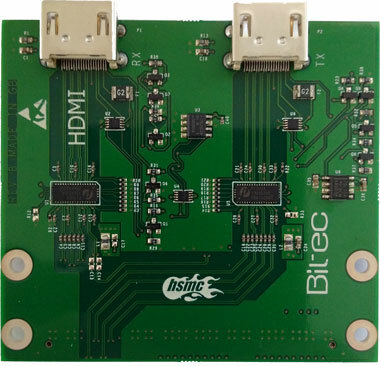 The Bitec HDMI 2.0b IP Core enables HDMI interconnectivity without the need for external HDMI ASSP devices. 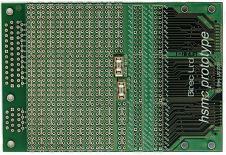 Supporting pixel clocks to 600Mhz, the IP core allows ULTRA HD designs while using minimal device i/o pin resources. The core can operate in 1-, 2- and 4.symbols per clock allowing for high pixel rates on low end FPGA devices. V-by-One®HS was developed by Thine Electronics Inc. to support the higher frame rates and the higher resolutions required by advancing FPD technologies, while reducing costs and time to market. Altera Video IP suite compatible. Altera optimised CMOS sensor front end IP core. 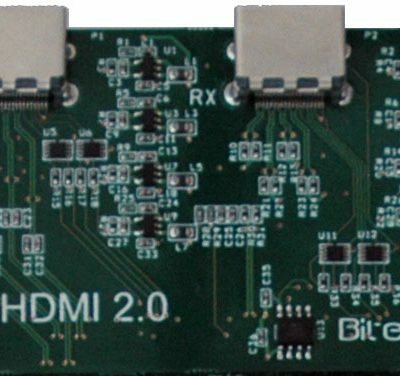 GX FPGA DisplayPort interface Daughter Card with HBR2 re-drivers. 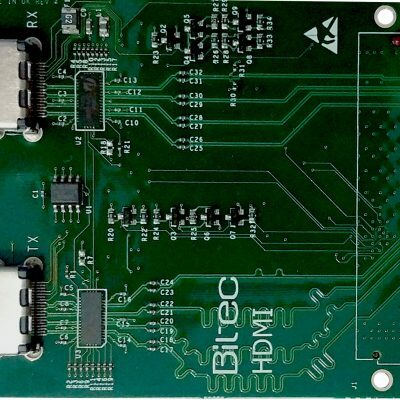 Can be used with the Bitec HDMI 2.0 IP Core. 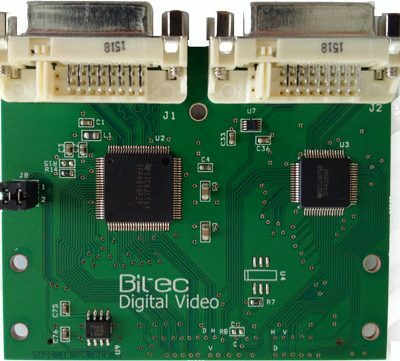 Develop professional video FPGA based systems using the Bitec BVDC card. 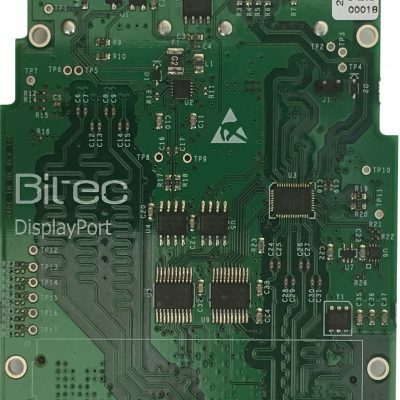 Connect multiple live video streams to your Altera FPGA using the Bitec Quad Video board. 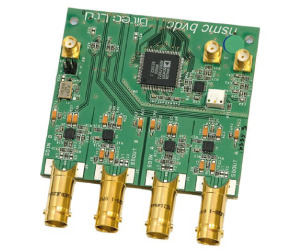 Allows 4 S-Video or 8 Composite video inputs. 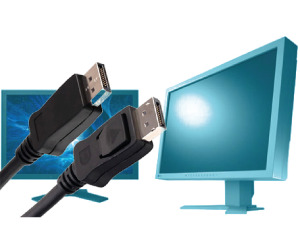 An integrated video output provides DVI, RGB or composite TV connectivity. 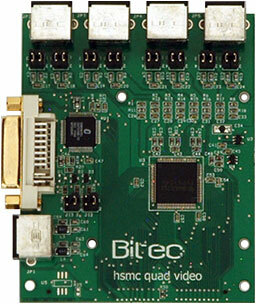 Combined DVI input and output board for Altera FPGA development kits with HSMC expansion port. 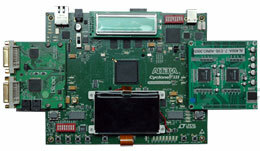 Prototyping board for Altera FPGA development kits with HSMC expansion port. 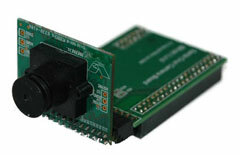 5.2 Megapixels camera module for the Altera FPGA development kits with Santa Cruz expansion port. 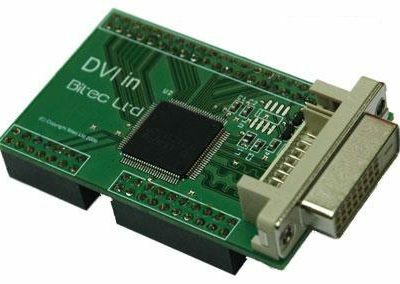 DVI input interface for Altera FPGA development kits with Santa Cruz expansion port. 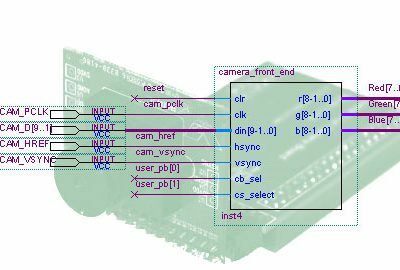 Feed real-time video into your FPGA designs! 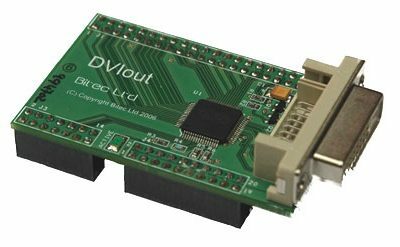 DVI output interface for Altera FPGA development kits with Santa Cruz expansion port. 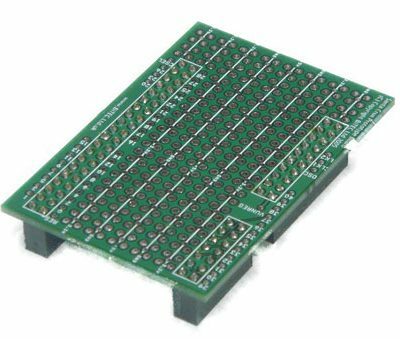 The SC Prototyping board provides a convenient and efficient test-bed for interfacing the Altera series of FPGA development kits. A Clearly marked 0.1″ grid with GND, +5V and +3.3V throughout makes interfacing simple and elegant. Easy access to labelled SC connector pins for fast, reliable wire wrapping connections. Cost effective kit targeted at Video processing development using a Cyclone III device. 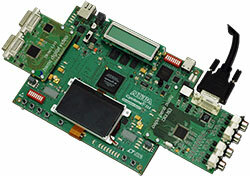 Complete kit for application development using the Averlogic AL460 Video FIFO. 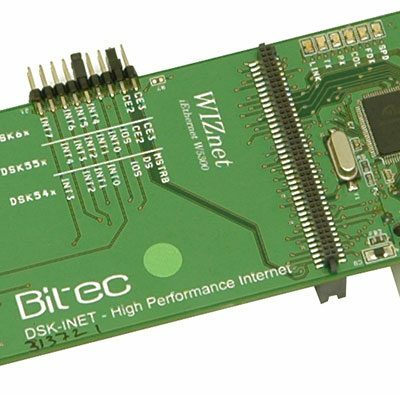 High performance TCP/IP interface adaptor, add TCP/IP Ethernet connectivity to your DSK based projects.